Israel has repeatedly bombed Syrian military installations during the Syrian civil war, but never Al Qaeda groups, says independent journalist Rania Khalek, adding Israel prefers to support Al Qaeda as, unlike Hezbollah, it doesn’t consider it a threat. 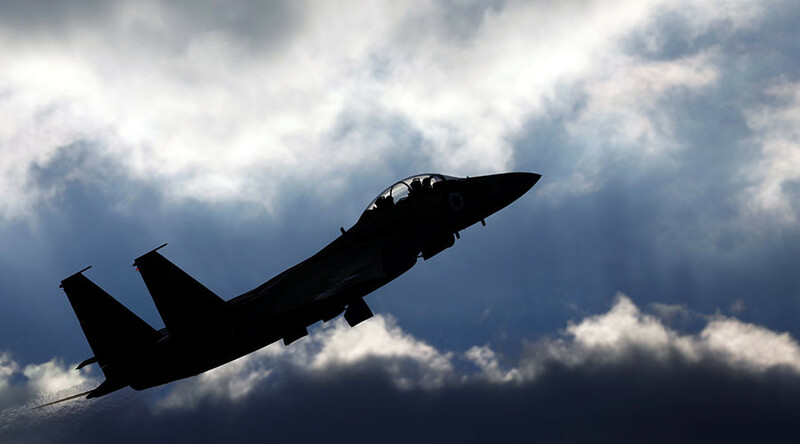 RT: What was your reaction to the reports that Israel bombed a Syrian military airport? Recently, the Institute for [National] Security Studies – which is an important Israeli think tank – released a 300-page strategic paper for the Israeli government that was written by top military and political figures in Israel. It had a section on Syria. It basically said that Israel’s position is that the best thing for Israel is to remove the Syrian government power now and replace it with some sort of Sunni sectarian state. I assume in the image of what you could call Saudi Arabia, or any other state that supports the rebels. The reason for this is because Israel sees Hezbollah as one of the biggest threats in the region… and they actually prefer to support Al Qaeda over Hezbollah because it’s Hezbollah, not al Qaeda, that presents a threat to Israel at the end of the day. RT: You attended an event on Thursday at the Atlantic Council called ‘Combating Al-Qaeda in Syria: A Strategy for the Next President.’ It featured prominent advocates of arming the so-called moderate rebels in Syria, including Charles Lister, Senior Fellow at Middle East Institute. What did you learn there about the current state of the conflict? RK: It was really interesting because these are the people who come from the think tanks that for the past five years have been pushing for ongoing military escalation from the Western side. Now we’ve got a new administration coming in, the Trump administration, which has said that they want to de-escalate the situation Syria, they don’t want to overthrow the government any more. So, what I saw at this panel was the sort of establishment think tanks re-packaging their whole view towards Syria in a way that Trump would like. So, instead of calling it a “humanitarian issue”… they’ve made it about defeating Al Qaeda in Syria. What’s interesting about that is all of these people have for the past five years supported policies that actually empowered Al Qaeda in Syria. Now they are saying they want to defeat Al Qaeda in Syria by doing the same exact things they have been advocating… which is to continue arming the Sunni groups. They call them “moderate opposition,” but none of the panelists detailed or gave any specifics about a single moderate opposition group – they didn’t name one. They also talked about the need to still get rid of the Syrian government if possible, still have some sort of no-fly zone situation. So, it’s the same policies – they’ve just given it a makeover. The last thing I will add is that these panelists not only want to continue to arm the rebel groups; they also specifically talked about Iran. They fear mongered tremendously about Iran and Hezbollah…That’s another thing that’s big with Trump – he is very anti-Iran, so they were trying to play that up as well. I don’t know if that will work, but… we’ll see what happens. Hopefully, they don’t get their way.